Interested in a painting you see here? 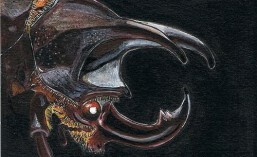 Want your favorite insect painted? Email me and tell me your ideas. One of several of the Avengers that I did for my little Monkey, who loves them. I used Marvel references on the internet.